It is early November and Christmas is already here. Shopping malls have decked their halls and stores are aglow with Christmas decor and trimmings. Inboxes and mailboxes are overflowing with holiday advertisements and the consumerism of Christmas is pushing forward. Yet, it is not even Thanksgiving. We haven’t even stuffed our turkeys or tasted our pumpkin pies and Kris Kringle is already pushing his way to the front of the line. Since October we’ve slowly seen Christmas creep into our communities. It started with the Christmas ornaments at Hallmark and then bled into big box retailers who slowly began to stock Christmas lights, trees, decor and more. Subtly our radio stations have started dropping Christmas tunes into the rotation and ABC Family is already touting their 25 days of Christmas. We haven’t even paused to say what we are thankful for and we are already adding frivolous wants to our ever growing Christmas list. I know a lot of you reading this are nodding your heads in approval. Every year we see Christmas tiptoe into our busy lives earlier and earlier. Jokes are made and holiday ‘lines’ are drawn. Now is not the time for Christmas. For me, the Christmas celebration cannot begin early enough. When I consider the magnitude of the event we are celebrating, the birth of our risen savior Jesus Christ, I cannot help but bubble with anticipation to celebrate. I fully understand that the decorations, gifts, music, consumerism and Santa Claus are not a part of what we are celebrating. I understand there are plenty of arguments about the pagan ties to our celebrations. I totally get that Jesus’ birth likely wasn’t even when we celebrate. To me these things don’t matter, they all remind me of the One we are to celebrate. To me, all of it points to Jesus. The good. The bad. All of it. 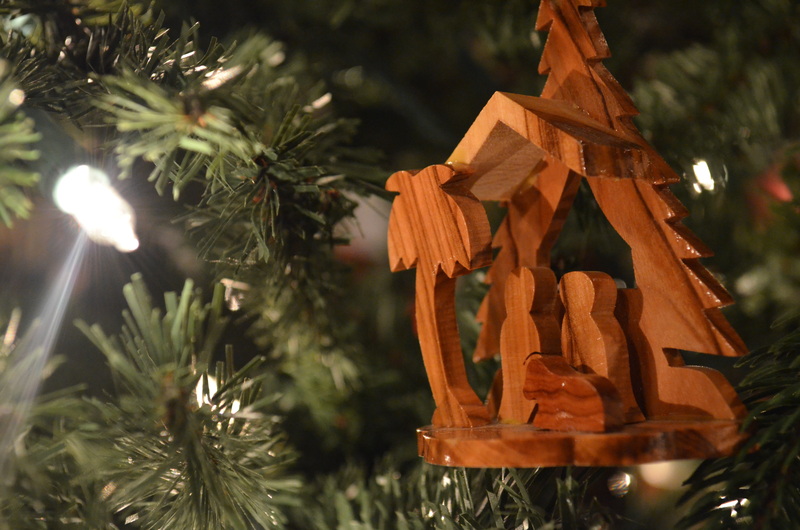 Everything that is Christmas is being redeemed by who He is and what His birth meant for us. When I see Christmas lights hanging on a tree… I think of Him. When someone tells me “Happy Holidays”… I think of Him. When I listen to Christmas music… I think of Him. When I see sales ads and busy stores bustling with people buying gifts… I think of Him. When I sit with my family around the Christmas tree… I think of Him. Everything that is Christmas as we know it reminds me of the greatest gift humanity has ever received. I’m not worried about those things coming early, they fill me with anticipation and hope, joy and peace. In October of 2014 we set sail aboard Disney Cruise Line as a family on a trip we had booked nearly two years prior. For two years we had thought about and anticipated this vacation as a family. Even though it was a long way out, our excitement continued to grow and we allowed it all to build up to a remarkable experience together. When you plan a vacation, you don’t wait until the week of to get excited. It builds. It grows. You long for it. I long to remember the gift that God gave us in His son, Jesus of Nazareth. I long to celebrate that gift with my family and with my friends. Everything that is the ‘modern’ celebration of Christmas points me to that place and to that moment. Not every aspect of our Christmas celebrations are holy, but they all point me towards the one who is Holy. It’s not even Thanksgiving yet, and that doesn’t bother me. I cannot wait to celebrate the greatest gift man has ever known.